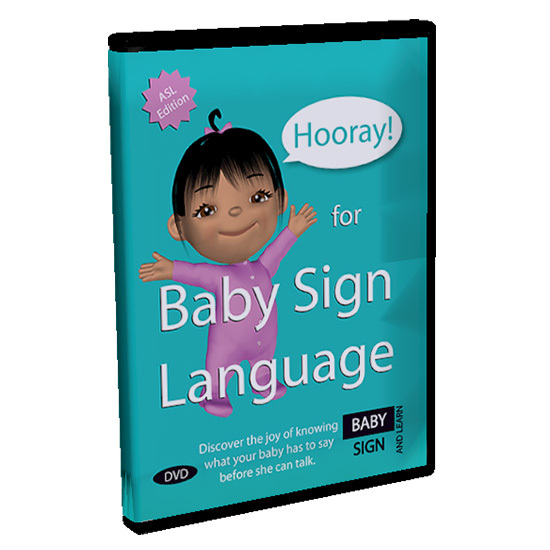 This baby sign language DVD covers everything you need to know to start signing with your baby including an extensive video dictionary of baby signs. The Sign and Learn cute animated signing babies clearly demonstrate over 300 signs. All signs are based on ASL (American Sign Language) and easily referenced through the intuitive DVD menu. These lovable characters are sure to capture the interest of your baby or toddler too, so you can enjoy learning new signs together. Test your baby signing skills using the fun baby signing quiz. Great fun for all ages as each question is narrated so your toddler can play along too. The production quality of this DVD is outstanding while the content is well paced and easy to follow. As with all aspects of this DVD, the "Information for Parents and Carers" section is presented in a light-hearted way the whole family can enjoy.